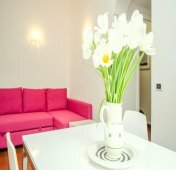 Scala Studios 75 is a luxury holiday apartment in Rome for up to four occupants, ideal for a family or a small group. 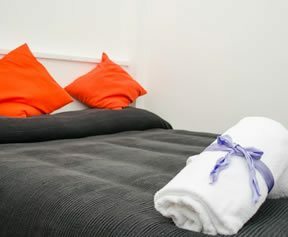 Our centrally located private accommodation has one matrimonial room, two sofas and a fully equipped kitchen and bathroom. 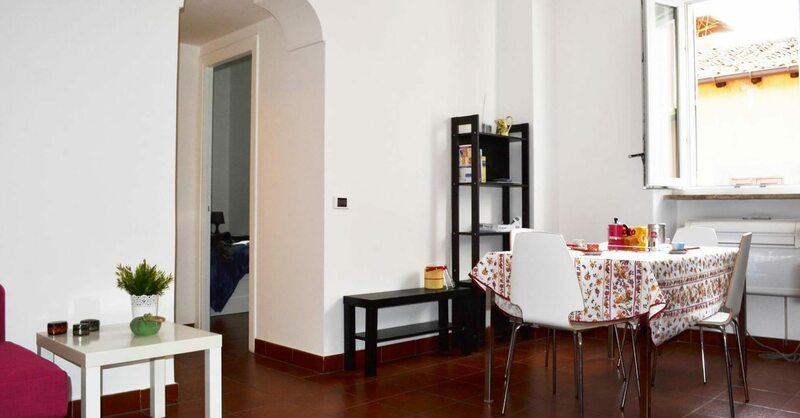 The Scala Studios 75 vacation apartment is located just 100m from the church of Santa Maria in Trastevere. Deep in the heart of this famously characteristic neighbourhood of Rome, you’ll be placed in the very bosom of Rome’s historical centre. 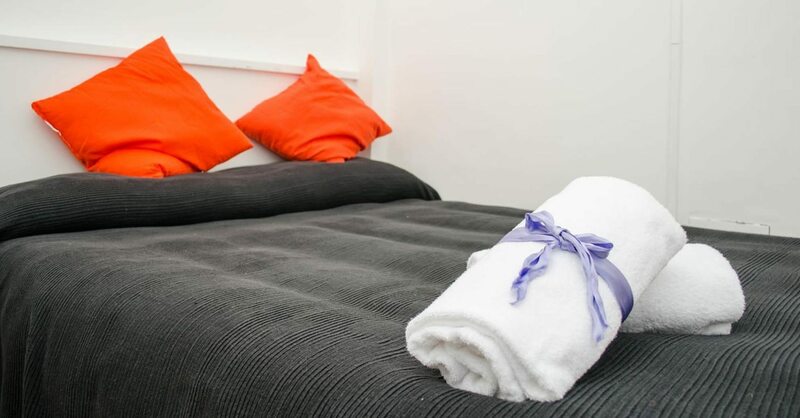 Owned by the Bellesuite 4 star guest house on the other side of town, Scala Studios 75 Apartment is able to offer a range of accommodation services not usually associated with a short-let holiday apartment, such as airport or train station transfers. 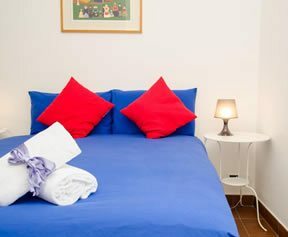 Roma Trastevere is one of the most coveted locations in the historical centre of the eternal city of Rome and a self-catering apartment accommodation here gives guests an unbeatable combination of the perfect holiday residence deep in the heart of all the action. Famous for its warm and vibrant atmosphere, the area is abundant with life by day and night. 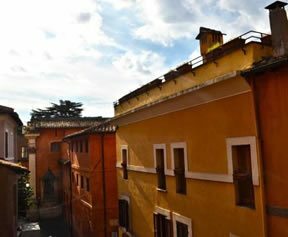 Literally translated as ‘across the river’, Trastevere is on the south side of the Tiber between the area surrounding the Vatican City and the grassy hills of Gianicolo and Monteverde. A walk across the bridge brings you into the primo municipio and such sights as Piazza Navona, the Pantheon, the Jewish ghetto and Campo de’ Fiori. Please inform us in advance of your expected arrival time so that someone can come and meet you and show you into the apartment. 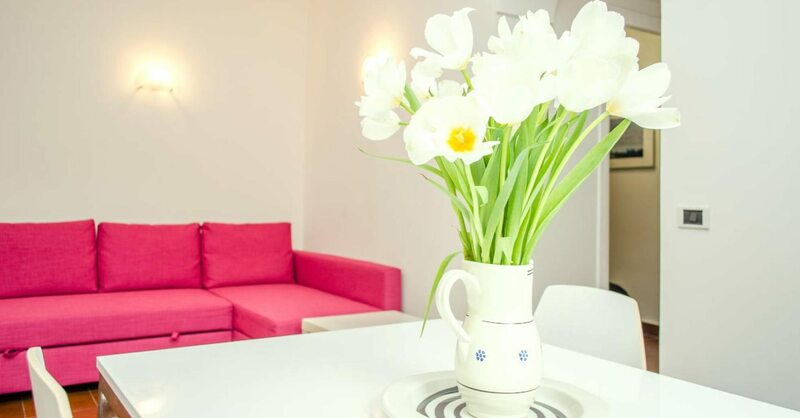 If you’d like to book additional services such as an airport or train station transfer or daily cleaning of your self-catering holiday apartment in Rome please leave us a note when you book directly with us here on our official website real time secure booking system.